We would like to send out our Christmas Card from this year in a digitalized version. I know digitalized is not a word, but this attempt at digitized is pretty pathetic. Can you tell I took a picture of it on the table? 🙂 But we do want to wish everyone in the digital world seasons greetings and happy Holidays! God’s Blessings this Christmas season. We hope that no matter where you are or what you are going through, that Jesus finds a way into your life this Christmas in a powerful way to give you Hope, Peace, Faith and Love! A story just came to mind about Mason that Krista was sharing yesterday. Children are very insightful sometimes, and this was very encouraging to hear. Mason was eating lunch with Bella and explaining to her all about atoms; “we are drinking atoms, we are eating atoms, and we’re made of atoms…Bella do you know what atoms are?” He was going on and on about the things he has been learning about science. It was really cute because Bella just sat there with her little Bella face listening to him. 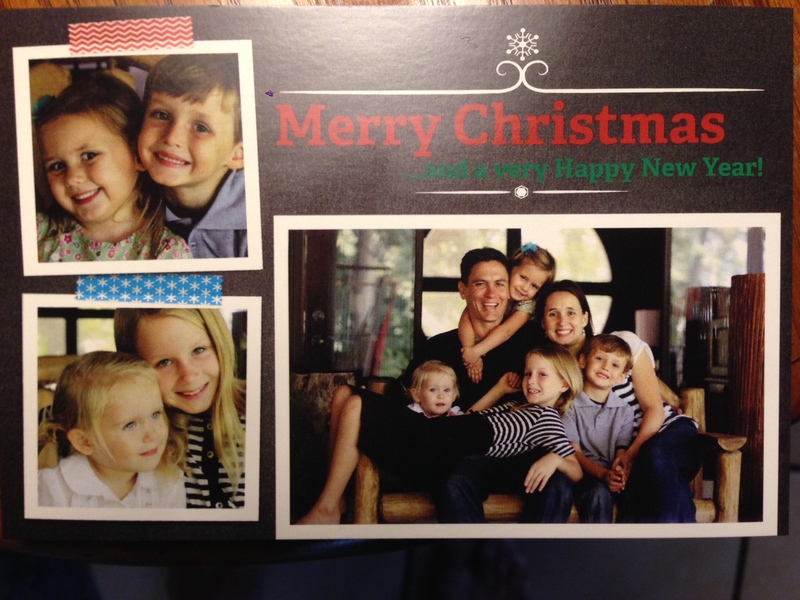 **If it is not too late we would love to receive your Christmas Card if you sent one out this year. It could be mailed to our address here in Nicaragua. ← Christmas fun for everyone!